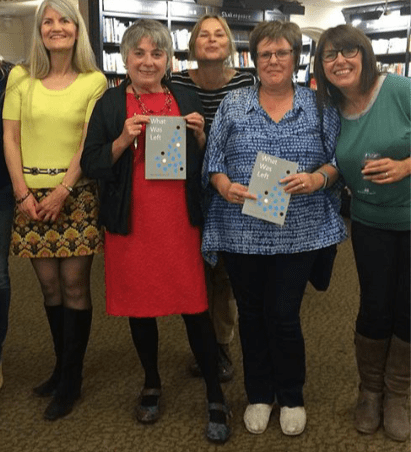 In early September I read my first prize winning story,’At the Hospital’ at the Retreat West launch of their first winners’ anthology, What was Left,in Waterstone’s book shop, Reading. 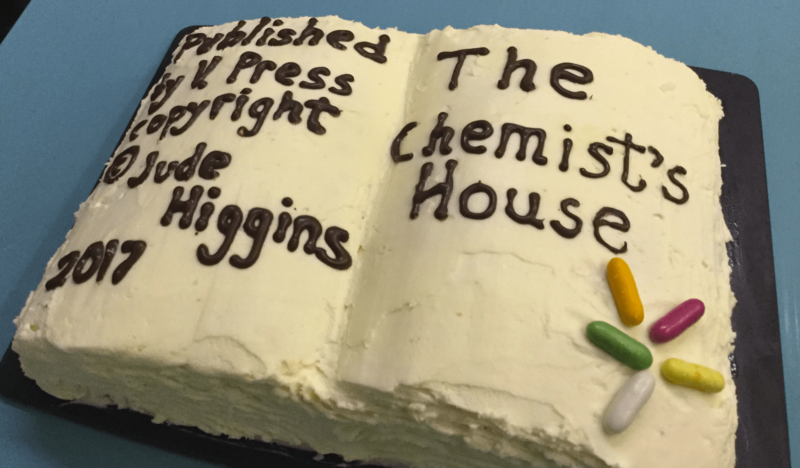 At the end of September I launched The Chemist’s House, my V.Press pamphlet, which was published in June and fellow flash fiction writer, Diane Simmons, made me a cake pictured here. That was a fantastic addition to a fun evening at St James’ Wine Vaults Bath. And a lovely surprise. We ate half of the cake at the evening. And it kept me going in cake for quite a while afterwards. Diane, Tino Prinzi, Conor Haughton, Meg Pokrass and Alison Powell were guest readers at the occasion and all read brilliantly. On Saturday morning, 11th November, I am thrilled to be reading my August Word Factory flash of the month, ‘Other People’ at the flash fiction event at the Word Factory Citizen Festival . (More about the 0rigins of that story in my previous blog post). 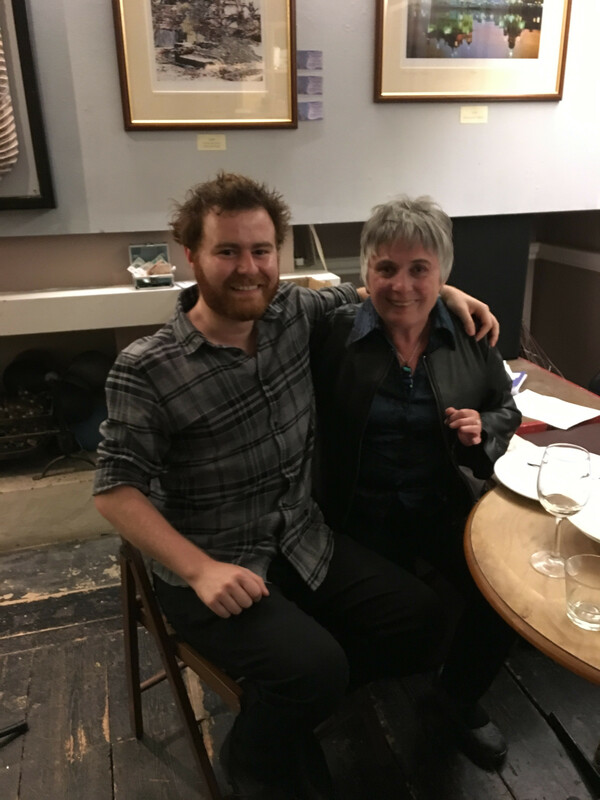 Last month, I was short listed in the Bridport flash fiction prize with a story, originally drafted in the amazing Kathy Fish Fast Flash online course last May. I have now submitted that one elsewhere. This month, my flash fiction, ‘Swifts’, originally published in the ‘Nottingham Review’ was highly commended in the Inktears flash fiction competition. It will be published on their website soon. In the last month, I’ve been busy compiling the Flash Fiction Festival June 2017 festival anthology with the help of Diane Simmons and Santino Prinzi and that anthology, together with the second volume of Bath Flash Fiction, will be published by Ad Hoc Fiction, by the end of the year. Some great reads inside those. And both books look really good. My article on turning dreams into fiction will be published in Project Calm magazine this month. And I am so delighted that stories from Charmaine Wilkerson and Alison Powell, as well as one of mine from my pamphlet, will be included as examples of dreams turned into fiction. Charmaine and Alison came to my Dream Breakfast session at the flash fiction festival in Bath and drafted the stories there. I love teaching writing and am co-running an intensive ‘Flashathon’. at Trinity College, Bristol on 25th November with Meg Pokrass from 10 am – 4.00 pm. Production of at least six micro drafts is guaranteed and there’s an opportunity to get feedback and editing tips too. We’re holding the second flash fiction festival at Trinity College in July 2018, so it’s an opportunity to take a peek at the venue. Some places left. And anyone already addicted to the form or interested in trying their hand at short short fiction is welcome. Booking and more details at bathflashfictionaward.com under ‘Event’. Sign up for advance notification of the workshops and events I run.